Happy Tuesday and welcome back for another colourQ challenge! If you recently celebrated Christmas or Hanukkah, I hope you had a wonderful holiday! We’re back from a short trip to visit with Scott’s family in California! 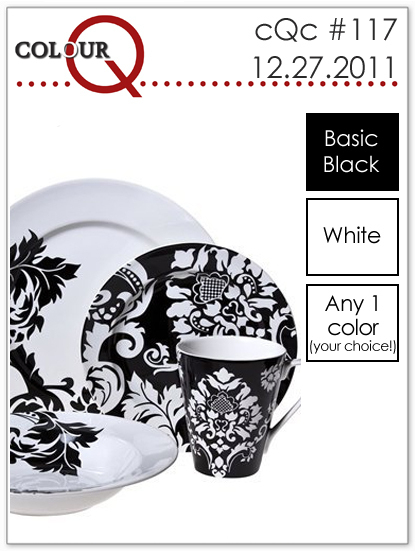 I’m sure you’ll have fun playing along with us this week if you have time…our last colourQ of 2011 lets you get creative with the color combo! 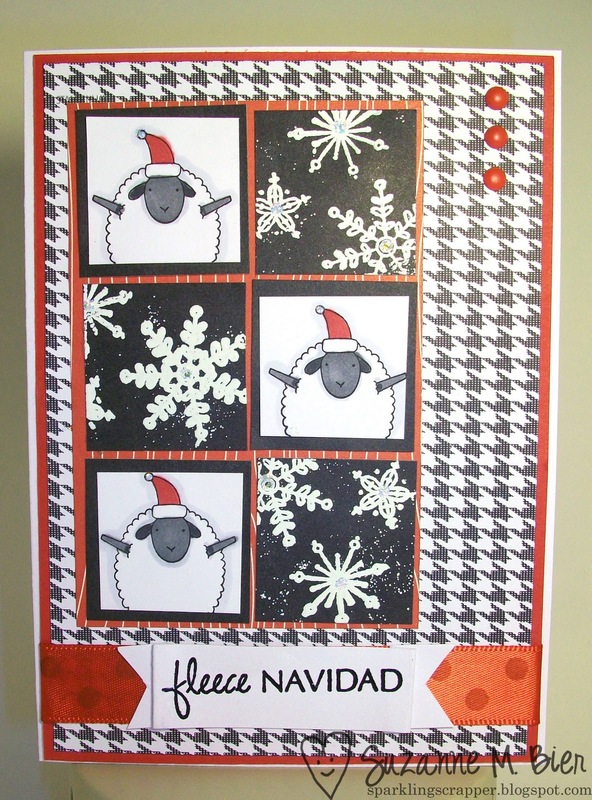 Supplies: card base, embossing powder (black & white), Copic markers, sheep and sentiment stamps (Memory Box), snowflake stamp (Imaginisce), patterned paper (Stampin’ Up! – houndstooth; aMuse Studio – red woodgrain), ribbon, ink (VersaMark, Tsukineko Brilliance), brads. For this week’s colourQ, you get to pick part of the combo! My extra color was red (of course! ), but you can pick any one extra color and create something wonderful to share with us! To be considered for this week’s colourQueen, make sure to link your creation at the colourQ blog by Sunday, January 1 at noon Central Time! Don’t forget to display the challenge colors and link back to the colourQ blog in your entry post.